Marking another milestone in the CORDURA® brand’s ‘50 for 50’ Anniversary campaign, Material ConneXion voted in two new categories of high performance CORDURA® fabrics to its global innovation library. Durable technical CORDURA® Denims from the brand’s ‘X. Venture’ collaboration with Artistic Milliners, Schoeller Technologies, and Lenzing Tencel®, as well as fabrics from its latest ‘Performance Naturals’ collaboration with Cotton Incorporated (CORDURA® STORM COTTON™ French Terry and TransDRY™ Twill) will be showcased through both online and physical Material ConneXion libraries in Bangkok, Bilbao, Daegu, Milan, Skövde, Tokyo and New York City. New materials are carefully evaluated based on their unique technical offerings, cutting-edge innovation and outstanding performance. 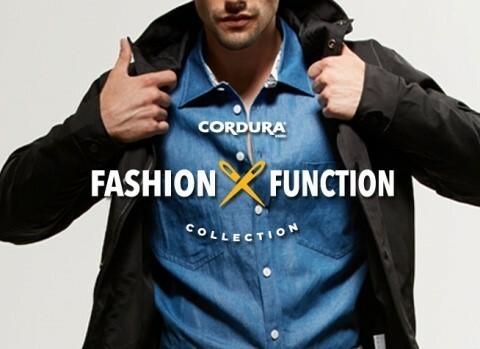 CORDURA® Denims from the brand’s ‘X. Venture Collexion,’ a retro-futuristic line of garments created through a collaborative effort with designer Michele Rose and in concert with Artistic Milliners, the brand’s longest running authorized CORDURA® Denim mill, were selected and voted in after the materials caught the attention of Material ConneXion’s research team. Designed to help regulate body temperature, CORDURA® Denim with Schoeller PCM Technology is a durable CORDURA® fabric created to stand up to extreme environments that features a special coating with active temperature equalization and dynamic climate control. A high-performance protective fabric, CORDURA® Denim with Schoeller ceraspace™ Technology offers enhanced abrasion-resistant properties for environments where maximum-protection is needed. Nylon, cotton and wool seamlessly blend in CORDURA® Combat Wool™ Denim. Offering enhanced abrasion-resistance, this fabric combines the look and feel of denim with the natural comfort properties of wool. The Material ConneXion review committee also selected fabrics from the latest CORDURA® + Cotton Incorporated ‘Performance Naturals’ collection – STORM COTTON™ French Terry and TransDRY™ Twill fabrics based on intimate blend CORDURA® NYCO fabric technology. These state-of-art, quick-dry fabrics offer the tried and true, long-lasting durable performance of CORDURA® fiber, combined with specialist product technologies, STORM COTTON™ and TransDry™, by Cotton Incorporated. Material ConneXion is built on the belief that Every Idea has a Material Solution™. It is a trusted partner of Fortune 500 corporations and forward-thinking companies seeking a sustainable or competitive edge.